Homeland explores the shifting context of Serbian experience through a series of interviews with multi-generational artists and curators. They describe the conditions that shaped the experiences of Serbs as they made the US their home and acclimated to a post-Yugoslavian society. As the Serbian center of the United States with an estimated population of 400,000 Serbians, Chicago is known as Belgrade’s sister-city. Since World War 1, the Serbian diaspora has tried to create relationships to a homeland in nearly constant flux through wars, national affiliations, and secessions. 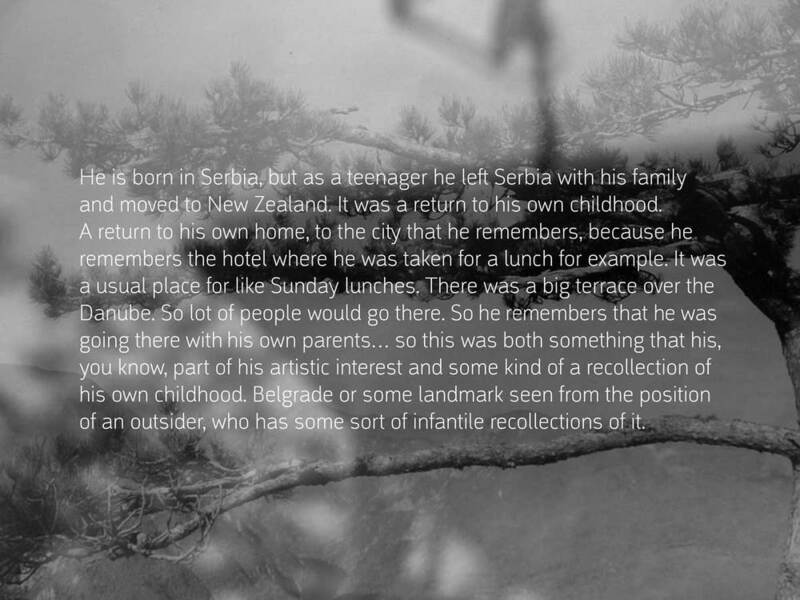 Selected quotes from the interviews are paired with images collected in their Chicago Serbian neighborhood and in Belgrade where they both traveled in 2003. They reveal individual experiences that offer a brief window into the ways in which culture and politics shape our interpretations of belonging and homeland.